FC Porto maintained their impressive form with a 4-1 win over Chaves, last Friday, to make it 19 wins from their last 20 games in all competitions, as the Primeira Liga entered the second half of the season. Sporting de Braga led the way on the same night with a 3-0 victory versus Nacional, moments before Benfica scrambled to pinch a 1-0 win away at Vitória de Guimarães, courtesy of Haris Seferovic's winner. Goals from Tiquinho Soares supplemented a big result for Sérgio Conceição and his table-topping Porto side against last-placed Chaves, prior to Sporting joining the gang at the top with a 2-1 win at home to Moreirense. 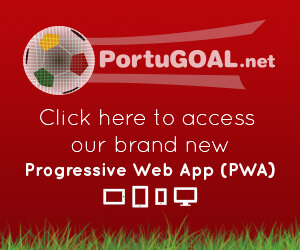 PortuGOAL brings you the latest from the Primeira Liga title race. With a huge League Cup semi-final tie against Sporting in sight, Braga travelled to Madeira to take on bottom-half dwellers Nacional, as they aimed to apply pressure on second-placed Benfica and league-leaders Porto. Abel Ferreira’s side commenced with a nice and early goal from Murilo Costa in the 4th minute, eventually chalked off by the VAR for offside, as Braga continued to chase the opener for much of the first half. At the other end, Gorré almost set Nacional on the path to taking the lead just before half-time, springing a counter-attack on 'the Arsenalistas' before feeding João Camacho overlapping to his left, who could only find the side-netting from the best opportunity for the hosts. Ricardo Horta was alert to place Braga a goal up in the 61st minute, reacting first to Sequeira’s free-kick crashing against the post to guide the rebound into a semi-unattended net. Murilo’s goal against his former club followed in the 72nd minute, as his header from a set-piece placed the visitors two goals up at the Choupana. The Brazilian forward was involved once more for Braga in the 85th minute, as his cross aimed at Horta was flicked on towards Paulinho at the back-post, on hand to tap in the third and final goal in a 3-0 victory. In a battle between fresh-faced managers in opposing worlds, former Sporting coach Tiago Fernandes was tasked with trying to stop Porto in their tracks once more after last week’s draw for the leaders against the Lions at Alvalade, with Chaves in desperate need of points down the bottom of the league table. Despite a positive start from the hosts, the Dragons were quick to throw mercy out of the window in the 24th minute when Tiquinho Soares fired Porto into the lead, directing Moussa Marega’s flick-on in from close range. The Brazilian striker made it 2-0 just before half-time, again assisted by Marega, who was on hand to present the ex-Guimarães man with a low cross to be finished first time, offering a bit of daylight between the two sides. In the 68th minute, Héctor Herrera caught his compatriot Jesús Corona lurking at the far-post with a lofted pass, enabling the Mexican winger the time and space to lay the ball across goal for another Soares tap-in, claiming his hat-trick. 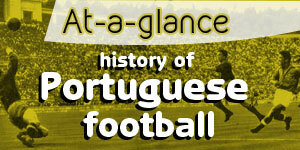 Gallo then pulled a goal back for Chaves from the penalty spot before an unsuccessful goal-line clearance from Nuno André Coelho in the 87th minute, racing back towards his own goal with Fernando Andrade before introducing the ball into his own net, saw Porto take a 4-1 win. Benfica took to the Estádio Dom Afonso Henriques for the second time this week, as Bruno Lage looked to maintain his 100% win record at the helm after the Eagles’ narrow midweek victory in the Taça de Portugal against Luís Castro’s well-oiled side. Inspiration from range filled up the action in the first half, as speculative efforts from João Félix and Pizzi brought out saves from Douglas before two well-hit volleys from André André and Tozé spelled danger for Benfica’s goal with half-time in sight, as the two sides settled for a 0-0 score. A dangerous side-footed strike from range from Rafa Soares offered an additional threat to the Eagles in a half again void of clear-cut opportunities, as both sides battled hard for each blade of grass. Benfica’s breakthrough came with ten minutes of normal time still to go as André Almeida freed himself on the right flank before squaring a pass across goal to Seferovic, who only needed a touch to guide a winner into the bottom corner. The win saw Benfica climb back up above Braga and into second place, cutting back the gap between them and league-leaders Porto to five points. Marcel Keizer’s Lions refuse to give up on the title race and to continue to dream of glory all three points were required at the Alvalade on Saturday, as the Lisbon outfit hosted high-flying Moreirense. 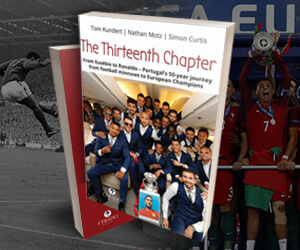 Three minutes was all it took for a goal-hungry Sporting to begin firing, with Marcos Acuña’s corner finding Nani free at the near-post prior to the Portugal international’s header finding its way in. Moreirense’s Jhonatan thought he’d done enough between the sticks to deny Sporting a second goal via Abdoulay Diaby in the 26th minute, tipping his header onto the bar, but in a second wave, Stefan Ristovski worked the keeper well with a fierce strike from range before Bruno Fernandes gathered up the rebound and powered one home to make it 2-0. The visitors evaded a penalty claim at one end to finish off a sweeping move at the other, as Heri’s tap-in from Chiquinho’s low cross applied pressure on Sporting in the 34th minute. Performance levels dropped in the second period, as Raphinha saw his chance to kill the game off and score his first league goal for Sporting taken away from him in a tight offside call, setting the hosts up for a narrow 2-1 win come full-time.